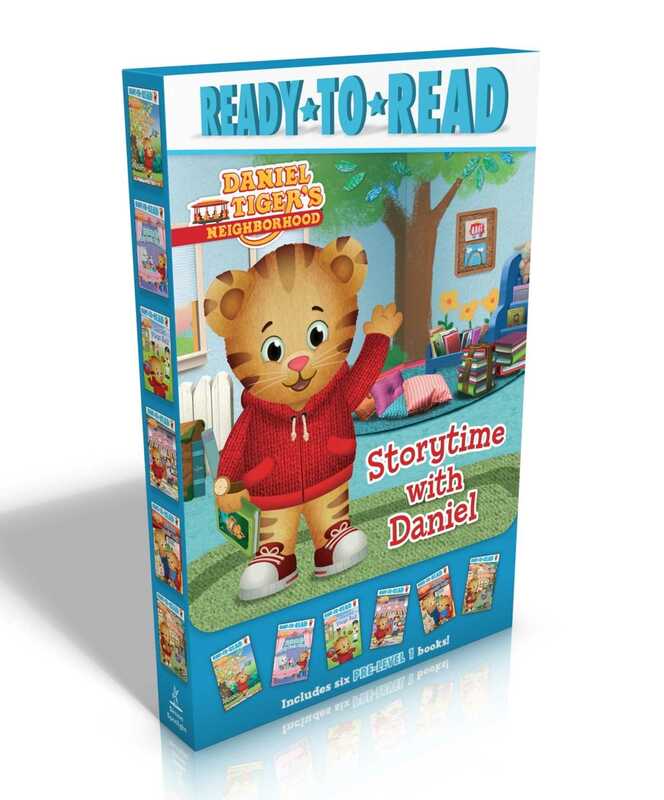 Daniel Tiger fans will love this carry-along Ready-to-Read boxed set with six adorable stories! Whether he’s having a tea party with Katerina Kittycat or playing a game of catch with Prince Wednesday, every day holds a new adventure for Daniel Tiger! Now children can learn and grow on-the-go with six of Daniel’s biggest adventures in one carry-along boxed set—complete with a tiger-tastic handle! This boxed set includes Thank You Day; Friends Help Each Other; Daniel Plays Ball; Daniel Goes Out for Dinner; Daniel Feels Left Out; and Daniel Visits the Library!